Ischemic preconditioning for swimmers has shown the potential to improve sprint swimming performance. But many questions remain unanswered. Are these techniques safe? 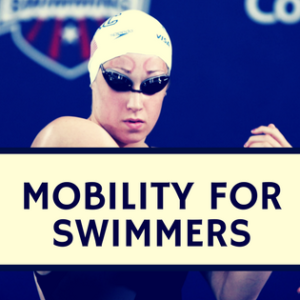 How much will they improve sprint swimming? When and how should they be used? We had the pleasure of learning the answers to these questions and so much more from a leading researcher in this area, Felipe Lisbôa. In the interview below, he provides his fascinating insight into this topic. 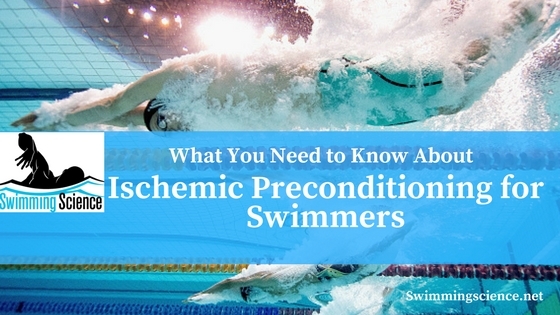 You can check out our review of his most recent research article, “The time dependence of the effect of ischemic preconditioning on successive sprint swimming performance” here. Read our full written interview below! 1. Please provide a brief summary of your study design for our readers. Eleven male, competitive, sprint swimmers (20 ± 3 years), who specialize in the 50 and 100-m front crawl events, participated in this study. Using a crossover design, each swimmer completed two testing sessions over the course of 2 weeks (one session per week). The athletes started the protocol between 8-9 am, with each swimmer acting as their own control. The protocol started by submitting the swimmers to either intermittent bilateral cuff inflation of 220 mmHg for upper thighs and 180 mmHg for upper arms (i.e. IPC), or to 20 mmHg for both limbs (i.e. CTRL). Then, three 50-m trials were conducted at one (P1), two (P2) and eight (P8) hours after the end of the procedure (IPC or CTRL). Before P1 and P8, swimmers completed a 20-min standardized pool warm-up, followed by a 10-min transition phase (i.e. passive rest) and 50-m front crawl performance. Pool warm-ups and trials were conducted in an official 50-m indoor pool (29.3 ± 0.3 ºC). The figure below may assist the understanding of study design. 2. In the study, you found that the performance enhancement was seen at 2 and 8 hours after the IPC intervention, but not at 1 hour; was this surprising to you? What is your theory as to why the benefits are delayed? My colleagues and I were surprised by these results. Particularly for short- duration events (i.e. 10 to 90 s), we developed a review study that showed a positive linear trend between time interval after IPC application and the performance improvements, which suggests that the enhancement in “anaerobic” performance after IPC may be dependent on the timing of the preconditioning strategy, possibly with a long-lasting effect. One potential explanation is that IPC has been associated with the release of several endogenous substances as adenosine, bradykinin, reactive oxygen species, and opioids. Independently of which mediator is participating in the complex chain of events that drive the ergogenic effect of IPC, an interval of time may be required in order to signal and reach the target tissues. Therefore, it is possible to postulate that IPC would improve successive maximal swim performances at different times of the day, which could be applicable for the current design of swimming competitions. Thus, while the IPC-induced beneficial changes were unanimous during P8 (i.e. all athletes improved their times compared to CTRL), four of the eleven subjects showed impaired (3 subjects) or unchanged (1 subject) performance during P1 (likely resulting from a combination of the typical variation with the time course of the benefit throughout the day). Therefore, it is possible that IPC requires some time to exert a higher magnitude of performance improvement and, these findings support the notion that time must be an important aspect when athletes and coaches adopt the IPC maneuvers for anaerobic performance. 3. I have often seen swimmers and coaches use less precise ways of inducing ischemia (i.e. using velcro straps around the upper arms and upper thighs). How important do you believe it is to use consistent, repeatable pressure as you did in your study with inflatable cuffs? The application of a tourniquet has two main application in sports sciences. One is the IPC, which involves the use of repeated bouts of ischemia-induced in skeletal muscle. The other application is the blood flow restriction training (BFRT) that enhances the metabolic stress induced by partial vascular occlusion. Indeed, measuring and testing a more practical approach to applying both IPC and BFRT is necessary. For occlusion training, I strongly recommend the using of velcro straps or elastic wraps. Unfortunately, given that the effect of IPC preconditioning is small, we recommended inflatable cuffs to be used in IPC procedure for a better precision. We are currently testing the perfect combination of cuff pressure and IPC effect in a laboratory in order to obtain a more practical tourniquet for IPC maneuver. 4. Do you believe that the performance enhancement benefits of IPC could also be obtained at lower cuff pressures? That is a good question. Even though no studies have been designed to test specific pressures and IPC effect, I believe that the minimum threshold is the limb systolic pressure (i.e approximately 120 mmHg). In this way, the literature recommended the use of an occlusion cuff inflated to a pressure of 15 mmHg greater than measured systolic arterial pressure. 5. How important is it to obscure blood flow in the upper and lower extremities simultaneously as you did in your study? Do you believe that similar results could be obtained through IPC to the upper or lower extremities alone? Accordingly, although the application of IPC also in the arms could be important to induce a more potent ischemic preconditioning effect, the addictive effects of concurrent application of IPC in legs and arms are still unclear. IPC represents a potent mechanism involving the release of several endogenous substances (e.g. of adenosine, bradykinin, reactive oxygen species, and opioids), which have proven to be able to protect various tissues and organs against ischemia-reperfusion injury. These mediators of IPC were arising from the amount of tissue occluded, I expected that the application of IPC on the swimmers’ upper and lower limbs would provide additional benefit on performance. 6. Many parents, coaches, and swimmers have expressed concern for the safety of IPC. 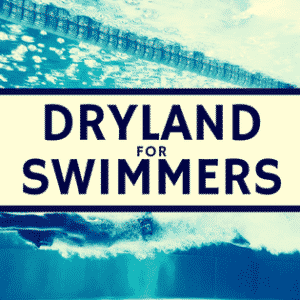 In your opinion, are there precautions that swimmers should take (i.e. discuss with their MD prior) to ensure safety. Should there be an age restriction? Any absolute contraindications? The properly vigorous exercise constantly submits the musculature to severe ischemia. In this way, I do not see any contraindications of IPC for athletes, independent of age. However, for untrained and subjects with other risk factors, the IPC should be avoided because the risks involved are the same of the vigorous physical exercise. 7. Imagine you are a college coach considering implementing IPC into a 6-month training cycle including a 2-week taper and championship meet at the end of the season. When would you implement IPC? What would your IPC procedure/protocol be? IPC, as well as any other acute preconditioning strategies to enhance physical performance, must be tested on the day of competition. Therefore, I suggest test the IPC in athletes during race simulations (during taper period) and collect the subjective feelings of each athlete after the performance. The IPC promotes a certain discomfort. In our study, the athletes thought that the intervention of IPC would be the one that would worsen the performance. In addition, many reported a lack of sensitivity to water during heating after CPI. For these reasons, a familiarization should be done with the procedure in order to prepare the athlete for such discomforts. 8. If you were the coach of an elite, college sprinter swimming 3-5 races each day over a 3-day championship meet, when would you use IPC? What would your IPC procedure/protocol be? I would submit my athlete perform IPC sessions every morning of the championship, long time before the first warm-up (1 hour earlier) to make sure that the mediating mechanisms of the IPC will already be available in the first performance. I would not repeat the procedure for the afternoon, I prefer to let the athlete rest and focus on the final event. Undoubtedly, there is a range of methods to be tested in order to determine the best time to apply the IPC. Is it best to apply the night before? Is it best to apply only to sprinters? Further studies are necessary to elucidate these questions. 9. What do you believe are the top 2-3 take away messages from your study that swimmers and coaches improve swimming performance? Ischemic preconditioning is a simple intervention that can be implemented in real-world competition settings; its beneficial effect can last for at least 8 h.
After 1-h, ischemic preconditioning did not positively impact sprint swimming performance and then, athletes and coaches should consider longer times (≥2 h) between IPC and the anaerobic swimming trial. Ischemic preconditioning compensates for the residual fatigue, leading to no difference between two 50-m swimming performances separated by 1 hr. The beneficial effects of IPC on sprint swimming performance was accompanied by increases in blood lactate accumulation and faster arm movement. Thus, these variables may play a role in the ergogenic effect of ischemic preconditioning on sprint swimming performance. We would like to thank Felipe Lisbôa for sharing his valuable insight on this topic. 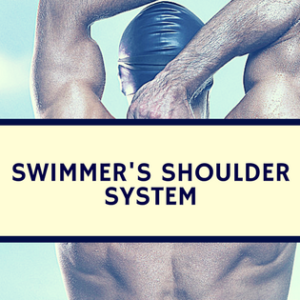 If you want to learn more about IPC for swimmers, take a look at Felipe’s related research studies.